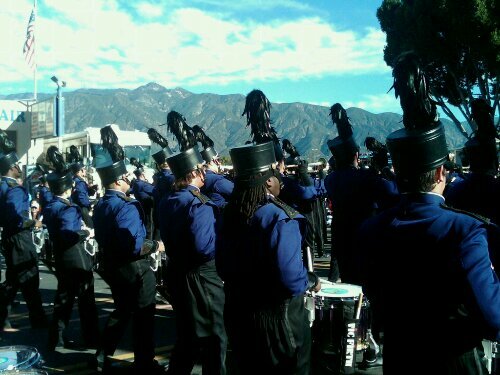 Matt Henley, assistant band director, shared this picture of the band taken during the Rose Parade. 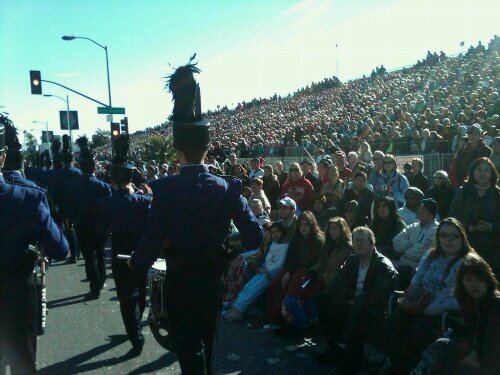 Thousands lined the route of the Rose Parade, as seen in this photo taken by Matt Henley, assistant band director, during the 2011 Rose Parade. 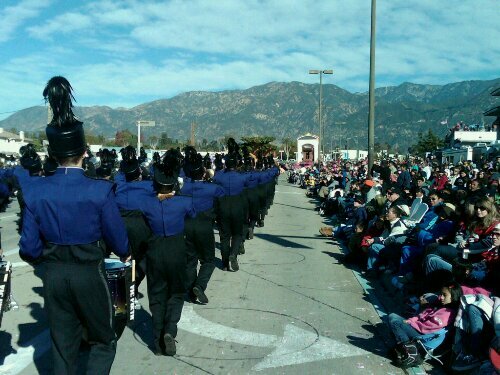 The band marched 5.5 miles in the Rose Parade through Pasadena, California, as captured in this picture from assistant band director Matt Henley. Matt Henley, assistant director of the Western Carolina University Pride of the Mountains Marching Band, shared these photos taken during the Rose Parade. Henley said that everyone finished the parade in strong spirits and that the response to the WCU band was outstanding.